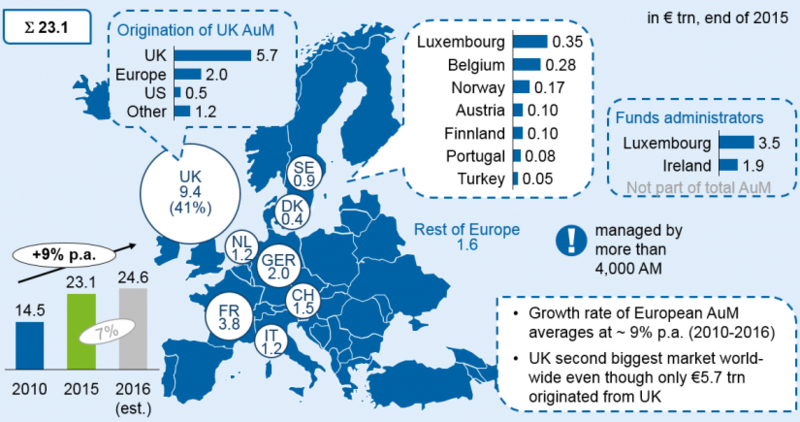 Around 60% (€5.7tn) of the total UK AuM are managed on behalf of domestic investors and 40% (€3.7tn) on behalf of oversea clients, of which €2.0 trillion AuM stem from European clients outside the UK. These assets face a Brexit impact (see Figure 1). 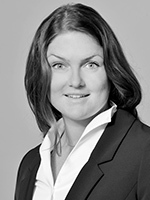 Until March 2019, when the UK will leave the European Union, UK-based asset managers will, in general, be able to service institutional and retail clients in EU member states without having to set up branches in those countries, since MiFID provides passporting rights that allow investment firms to carry out (cross-border) services within the entire European Economic Area (EEA) on the basis of authorisation from their home state regulator (see Figure 2). 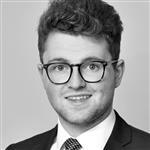 Product passporting rights under the EU directives UCITS and AIFMD permit active marketing of certain investment products, for which asset managers have received authorisation by their home state regulators, to investors in every other EU country without further verification. Product passports also allow the management company to be domiciled in a different member state than the fund itself. Because of these arrangements, Ireland and Luxembourg have become central EU fund gateways. 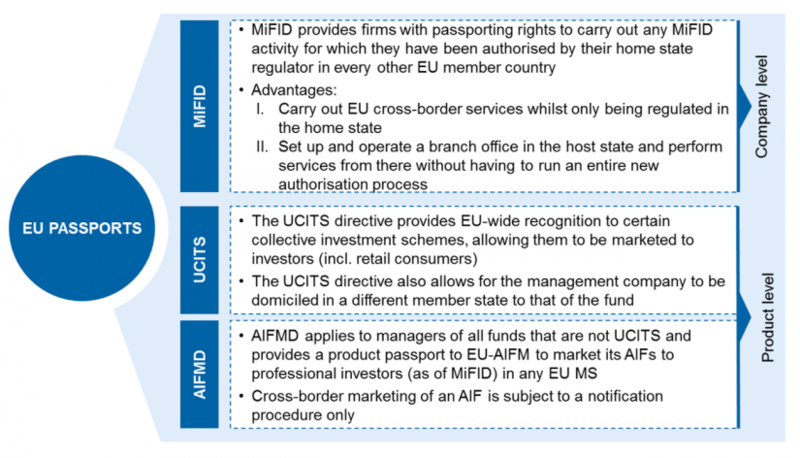 Figure 2 provides an overview on existing EU passporting rights. They can provide institutional investors within the EU with investment products via cross-border offerings. This, nevertheless, requires the EU Commission and each relevant host state to confirm the equivalence of the asset manager’s regulatory supervision. They can offer products and services in a specific EU member state via a registered and legally independent branch. In this case, both institutional investors and retail clients can be covered. They can set up a local branch in a key market (e.g. Germany or France) to be able to cover the market’s institutional and retail clients and then, using the passporting rights of this EU branch, serve institutional investors in all other EU member states. 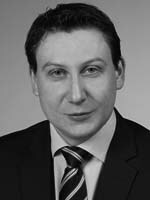 Under the assumption that the UK will become a non-EEA third country (which seems to be likely, given the current state of UK-EU Brexit negotiations), only independent and fully EU-regulated branches will allow UK-based investment firms to serve retail investors and use EU passporting rights. 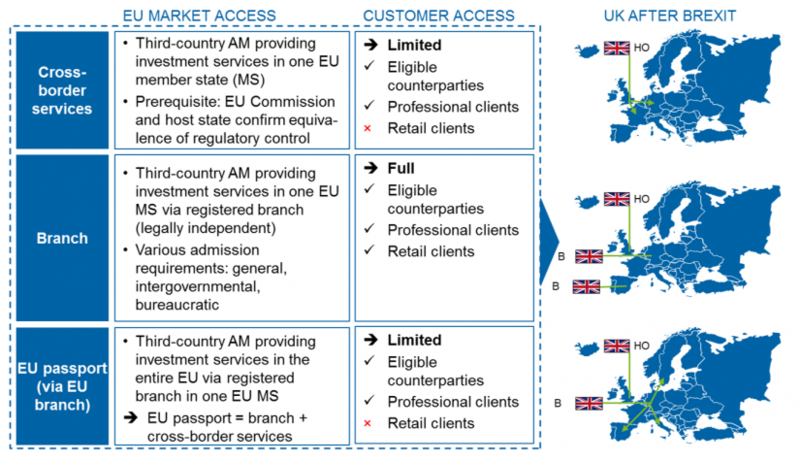 To open up an EU branch, a number of administrative requirements need to be met. 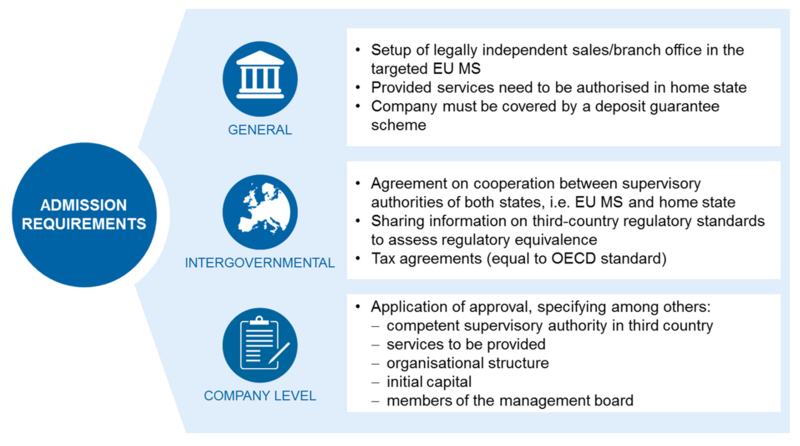 Those can be roughly divided into three categories: general, intergovernmental and company level (see Figure 4). Besides strategic issues such as location, target market, taxes, and availability of qualified staff, a branch needs to fulfil minimum substance requirements that are not entirely clear yet. Nonetheless, regulators will require at least a locally implemented risk control function, while back office functions can still be performed elsewhere (“delegation”), i.e. in the asset manager’s head office outside the EU. 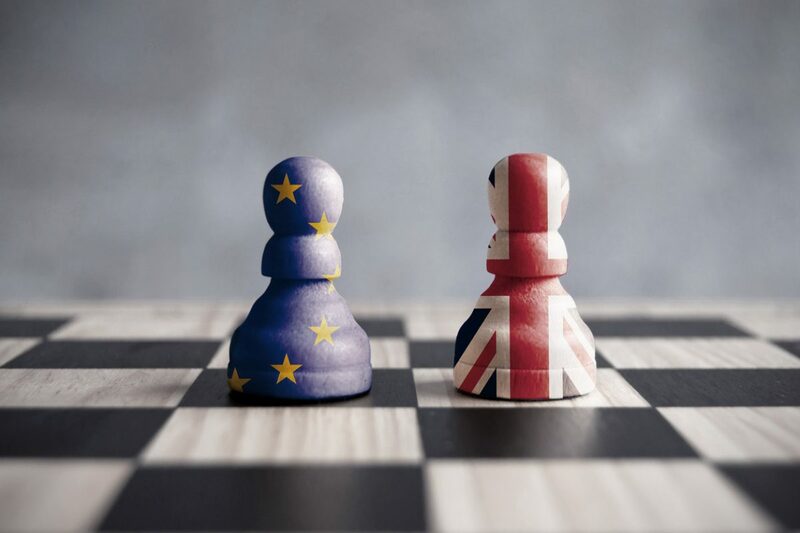 Aside from a hard Brexit, negotiations between the UK and the EU could also lead to the UK staying in the European Economic Area (EEA), or leaving the EEA but receiving “equivalence provisions” for directives and regulations for which an equivalence regime exists. Under equivalence, MiFID contains passport-like rights for companies offering wholesale investment products for sophisticated institutional investors. 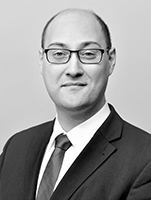 However, no equivalence regime exists for the distribution of funds to retail clients, thus making bilateral negotiations between the UK as a third country and the EU member states inevitable. Currently, neither a clear direction nor a schedule for concrete measures exist. Therefore it is vital to be prepared for the worst, well in advance of 2019. zeb is happy to assist asset managers in this complex task. Data on the origination of UK AuM is based on estimates for members of the UK Investment Association and extrapolated for non-IA members. See The Investment Association, Annual Survey 2015-2016 for details. Very informative, I found it really helpful for my company. Request you to please share some more articles. Thanks for the post.